Procrastination at it’s best. We have a little over a week until the party and the invites have just now been sent out. They are pretty darn cute if I do say so myself. I am so excited at how fun they turned out and how easy (but time consuming) they were. I used a cricut and mickey mouse cartridge to cut out the minnie heads on 12X12 black card stock paper. Once I got one head cut I turned the mat 180 degrees and cut another one on the same piece to use as much paper as possible. Then, I downloaded a free Walt Disney font onto Microsoft Word and typed up her invitation on paper. Printed those and then placed one of the minnie heads over what I wanted on the invite and traced (with pencil of course.) Cut the circle out and glue onto the head. Make sure you are really careful cutting these out. After you have cut and pasted, plug in the hot glue gun and make hair bows out of ribbon and/or tulle. 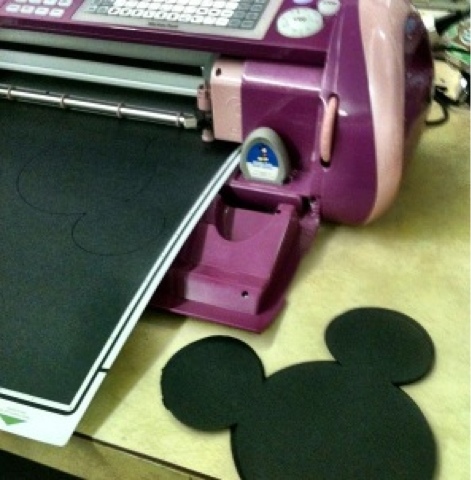 Glue and paste those and Viola……….Minnie mouse!!! I made the minnie heads too big for the envelopes I purchased first so I went to this site and got some odd shaped envelopes that they would fit in. I LOVE them!!!!! I am so glad I used different ribbon to mix it up as well. This past Sunday, my Aunt Tammy and Mrs. White threw Paisley a little meet and greet shower and it was definitely a princess party!